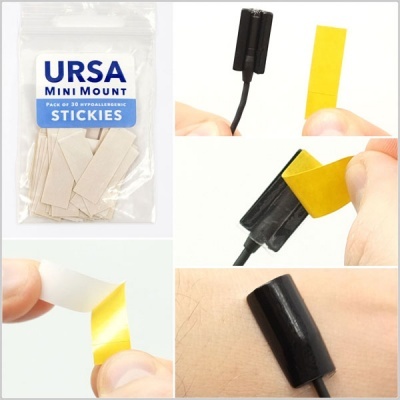 Introducing the brand new URSA Mini Mount Stickies! 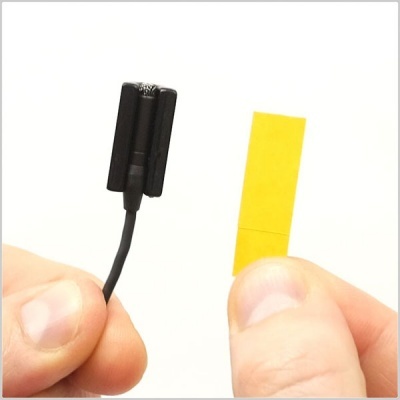 These slim, smooth, low profile mounts can help you rig LAV mics where larger mounts simply cannot go. 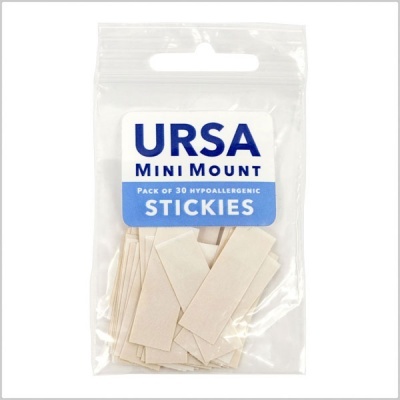 This pack of stickies is specifically designed for the Mini Mount. Works with all three different models. URSA MiniMount Stickies are specifically designed to fit MiniMounts, they measure 22x11mm and have easy peel-off tabs on both sides. 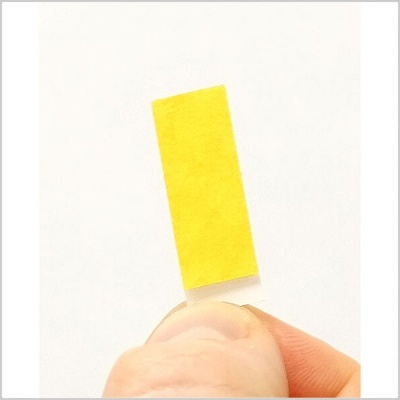 Made from a very sticky hypoallergenic tape which is safe on skin and they won’t leave residue on costumes. 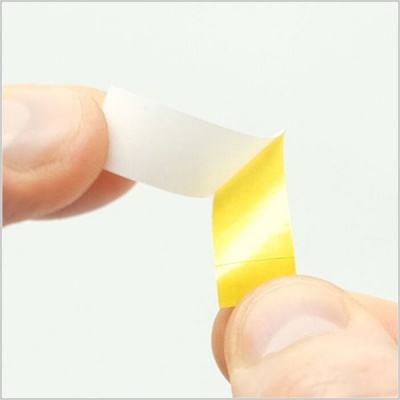 Save time cutting your own stickies! With concealment in mind, the design of the MiniMount makes for excellent flexibility. 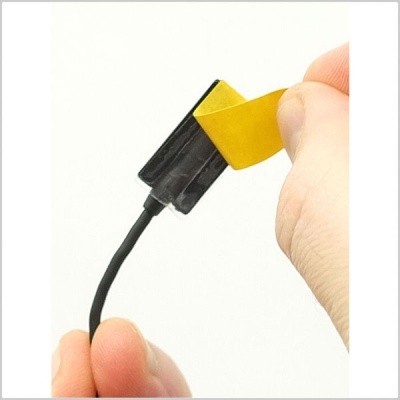 Due to the thin profile of the mount, it can be placed in a number of convenient, and previously unusable places. For example, behind the button on a shirt or on the back of a zip of a hoodie. At Pinknoise Systems we like to offer our customers a wide choice of delivery options for their orders, and our prices are affordable and competitive. We also use only the best, most reliable couriers and delivery services to get your equipment where it needs to be - quickly and securely. Please find an outline of our services, prices and timescales below. Delivery times are based on when the packages leaves our premises. Sometimes, due to stock restrictions or a non completed order, delivery may take longer as there is a delay with dispatch. We will always notify customers of any issues and problems via email or telephone. If your order is urgent or details change please do let us know. For full details, fees, and time schedules, please see our Delivery Information page. New items: You can return goods you have ordered from us for any reason, at any time within 7 working days of receipt, for a full refund or for an exchange for a different product from our range. The cost of returning goods to us shall be borne by you, the customer, in all circumstances without exception. Items must be packed suitably and insured for full loss in the event of a delivery problem. Pinknoise Systems will not be responsible for lost or damaged return goods. Lost or damaged goods may effect the level of refund you receive. Used items: Please note this does not apply to used item unless they are deemed faulty. For full details of our returns policy, please click here. Cards accepted; Visa, Visa Debit, MasterCard, Mastercard Debit, UK Maestro, Solo, Electron and Visa Delta & other cards with Visa or Mastercard logos, we now also accept American Express. Sign up for our free newsletter by entering your email address below and hitting 'submit'. Your details will never be shared and you can unsubscribe at any time. Note: All payments are made in Sterling GBP. Euros & Dollars are shown for indication purposes only.